Good evening! 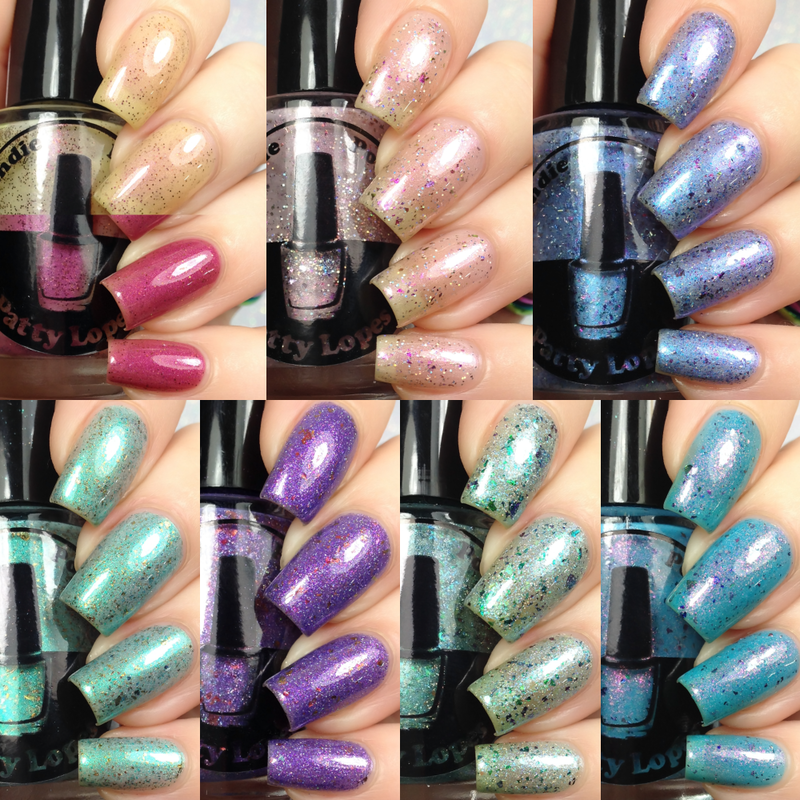 I have a handful of polishes from Indie by Patty Lopes to share with you tonight. Read on for more info! Described as a solar enamel with micro glitters duochrome, red shimmer, which goes from yellow to coral when exposed to the sun. Described as an enamel with pink shimmer, multichrome flakies and micro glitters luxury holo pink and silver. 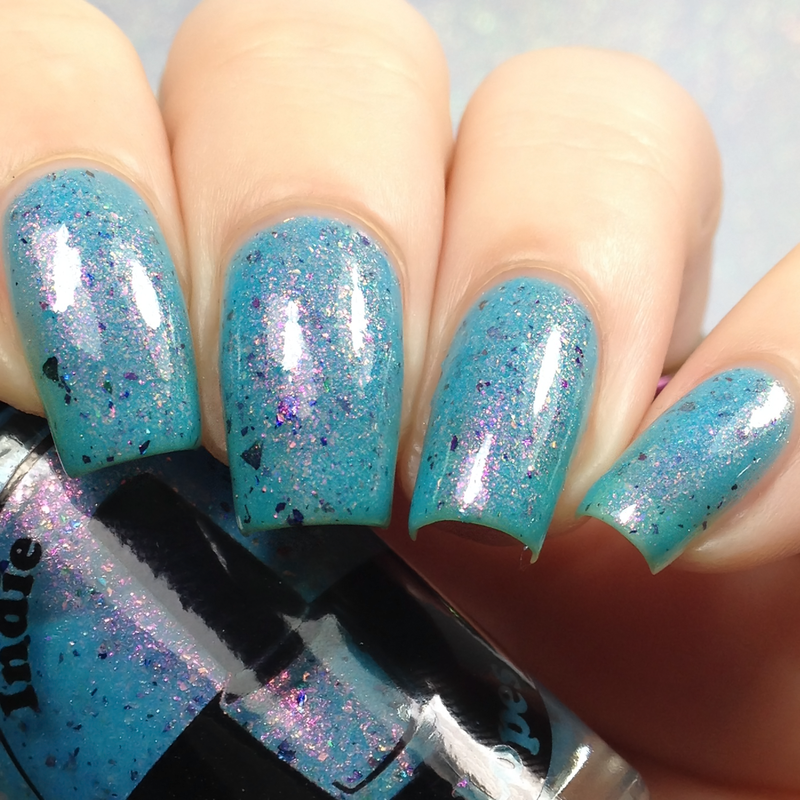 Described as an enamel with shimmer duochrome blue / purple, micro flakies holo and multichrome flakies. 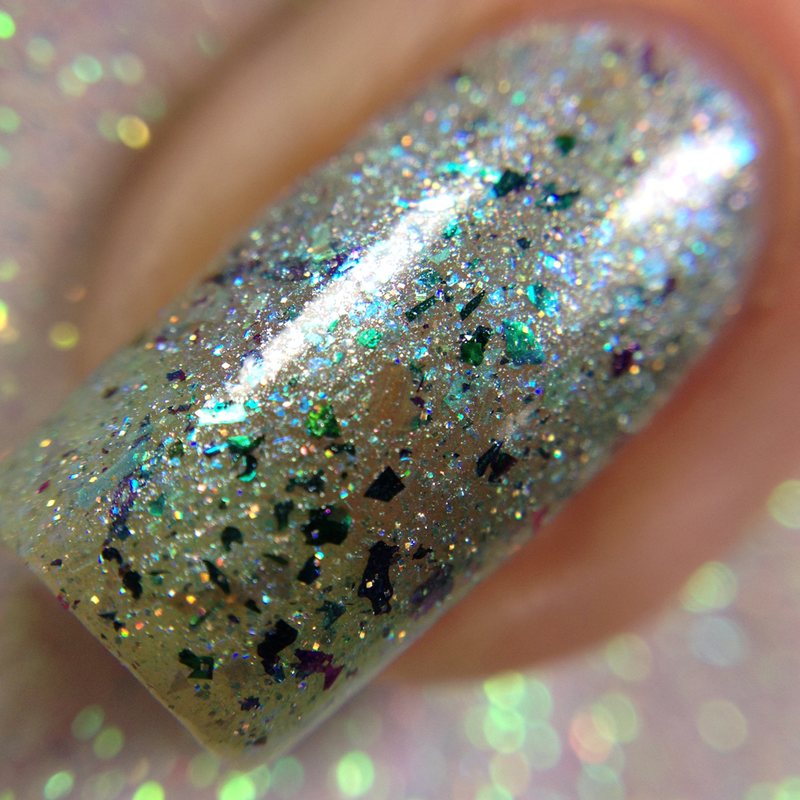 Described as an enamel with green shimmers, multichrome flakies. Described as a purple enamel with micro metallic purple flakies, multichrome flakies and micro glitters luxury purple holo. Described as an enamel with green water shimmer, micro metallic turquoise flakies, multichrome flakies and micro glitters holo luxury. Described as an enamel with blue celestial jelly base, aurora shimmer (unicorn pee), red / green / gold, multichrome flakies. 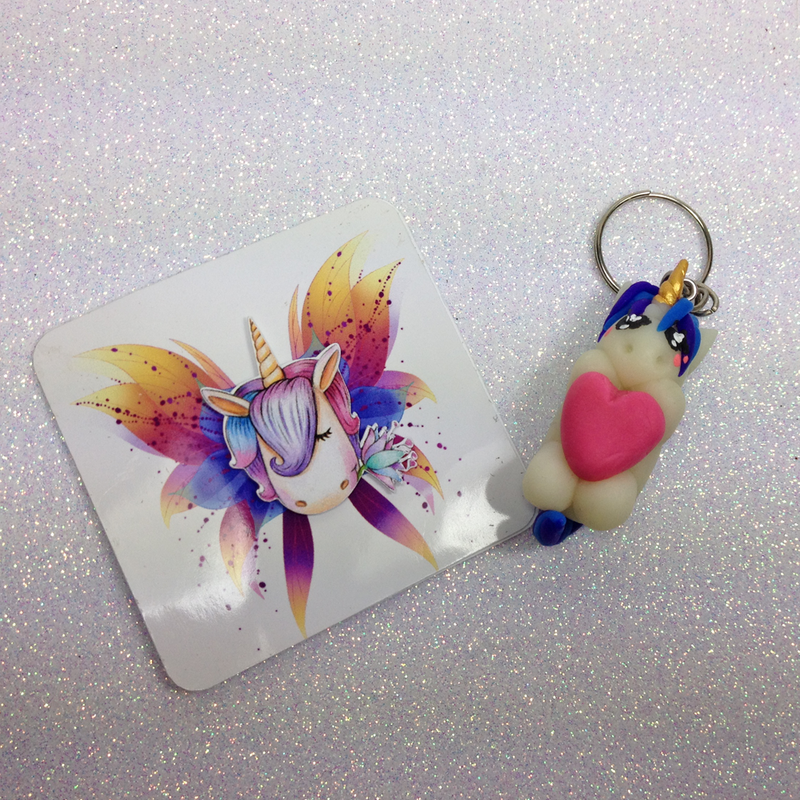 This adorable unicorn key chain Patty made comes in your order as a freebie for those who purchase the complete collection.